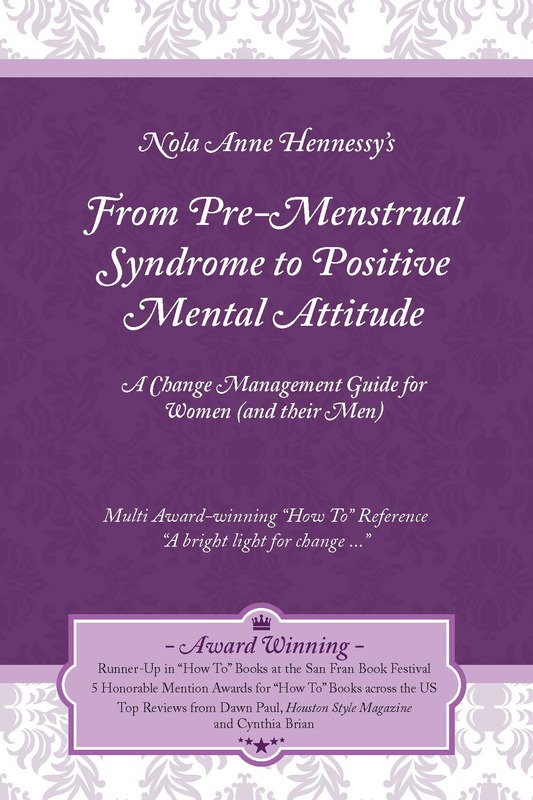 All We Need is a Positive Mental Attitude – Once you have read award-winning author, Nola Anne Hennessy’s book, No Boxing Allowed, it’s time to pick up a copy of the sequel, From PMS to PMA, a Change Management Guide for Women (and their Men). This is a short book of only eighty-four pages that will give you permission to eliminate the blame and complain game in your life and instead, reframe, rename, and reclaim your personal power. 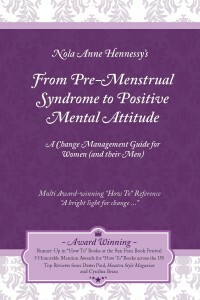 Many women choose to wallow in self-pity and pain, blaming their moods, actions, and inactions on PMS. Men have jumped on that bandwagon, too, using premenstrual symptoms as the catchall diagnosis for everything negative. Both men and women feel trapped in abusive relationships with enough emotional baggage to sink a ship. It’s time to let go, and move on. Nola gives you tools to change your negative thinking and acting so that you can positively manage your today and tomorrow, heal the pain, and move forward with healthy relationships between yourself and others. Through case studies you’ll witness what others have endured and how they recovered spiritually, physically, and emotionally. In her chapter, Deep Healing, Nola provides seventeen concrete and proven steps for both men and women to take the journey to real honesty and empowerment in their relationships. Of course, before you can take even one small step on this change journey, you must want to do it on a conscious level. Nola’s message is to value yourself first and then everything else falls into place. Being human means that we will all suffer in some way, however, attitude is a choice. We can choose to be pessimistic and unhappy, or we can choose positivity and delight. Believe in yourself and all the possibilities, and let go of PMS. You deserve a life founded in PMA!